Residents and businesses in the Western Hills sub-region and White Bay South area sub-region can dispose of residential bulk, garbage and yard waste, scrap metal, household hazardous waste and commercial waste at the White Bay South Waste Disposal Site. 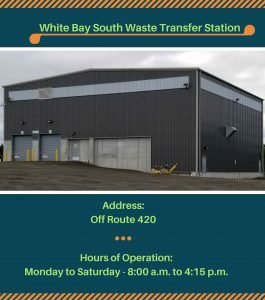 Residents and businesses require a WRWM Card to access the White Bay South Waste Disposal Site. Click here for more information on obtaining a card. 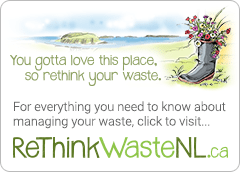 Click here for a list of materials not accepted at the White Bay South Waste Disposal Site.